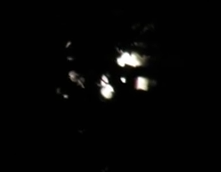 After seeing the same UFO appear night after night, a person in Aitkin County caught evidence of the sighting on video. The case is recorded as #50785 in the MUFON UFO Network database. The witness stated that after seeing the UFO each night, She decided to try and catch it on video. She did. At approximately 7:18 p.m. on September 12, 2013, she recorded an object that appeared to be a mile away and about 500 feet off the ground. MUFON Field Investigator Thomas Knox, after researching the incident, closed the case as “Unknown”. His investigation stated the object was described as hovering, blinking, pulsing and descending with the size being approximately a little larger than a basketball if it was held at arms length when viewing. After viewing the video, from a skeptics point of view, If I had a recurring encounter like this night after night, I would have been more prepared with a tripod to hold the camera still, or other ways to ensure the video was better. I know it’s easy to say that because hindsight is always 20/20. 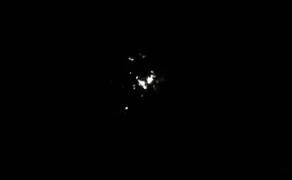 Still, the image in the video is interesting in the way the light sparkles or changes shape. Could it be a reflection or… without a doubt, it fits the definition of an Unidentified Flying Object.